A 'fun' card today, ideal if you are considering entering any blog challenges and I would love to see 'my followers' cards being entered! As you can see I added 'black soot' distress ink around the scalloped card edges. 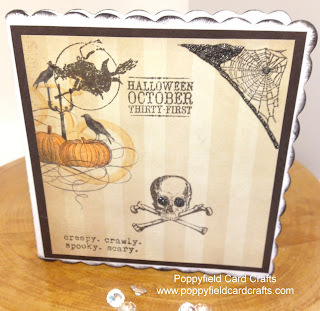 I then added black card onto the base card and onto that part of a 12" square halloween paper. I added Stickles in black to the eyes of the skull, and underneath the cobweb on the ?branch/flag (I don't actually know what it is LOL) and that completed the card! 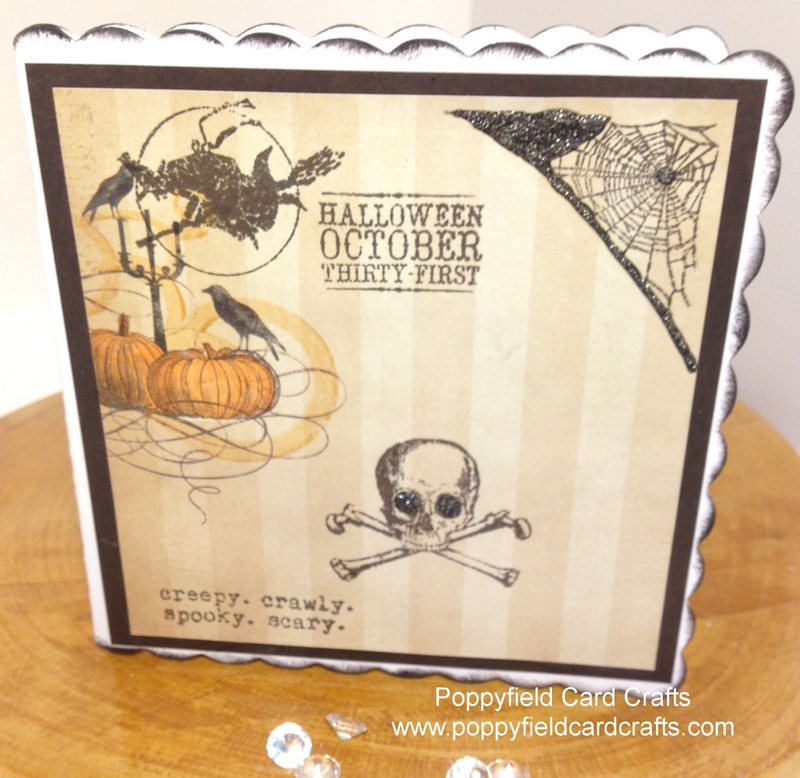 Great card for Halloween June - I have never made a Halloween card but this is tempting me ! !